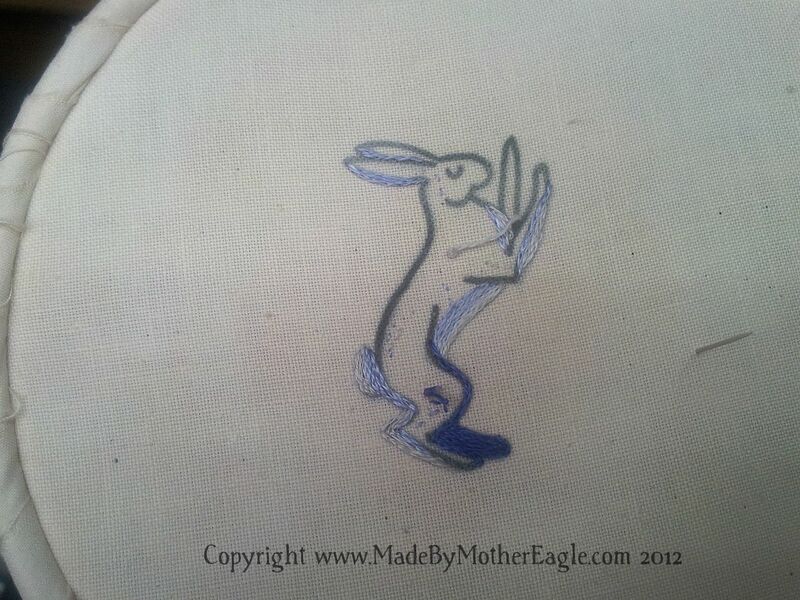 I was so pleased with my original boxing hare and enamoured of the Moon association, I decided to make a Moonlit Hare. 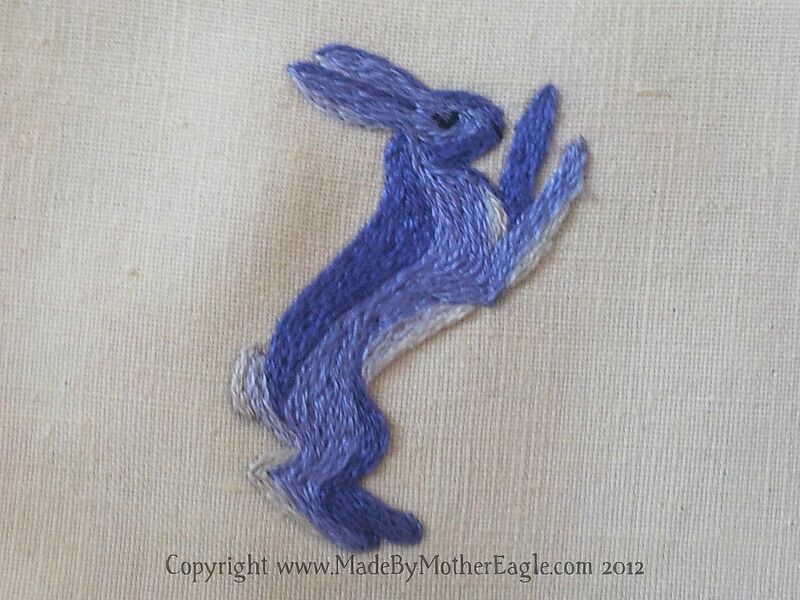 Using some beautiful periwinkle and delft blue shades of single strand cotton, I basically followed my same design as before, in fine split stitch. He’ll look lovely in a silver pendant I think. He’s beautiful! I love him in blue. He’ll look great with silver. 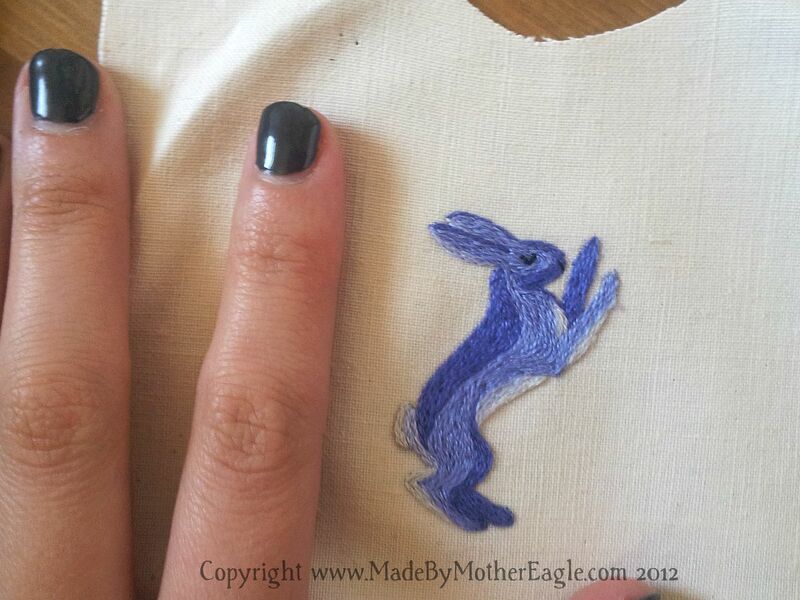 Question- are you tracing your designs onto the fabric with a pen or a brush? Some of them look almost watercolored on. Thanks Rene, i enjoyed making him in a different colour. I use an iron on transfer pen, which is permanent. You use it by drawing your design on paper and just hot-ironing it on. Oh, that’s great! Can you get multiple “prints” out of the same drawing? 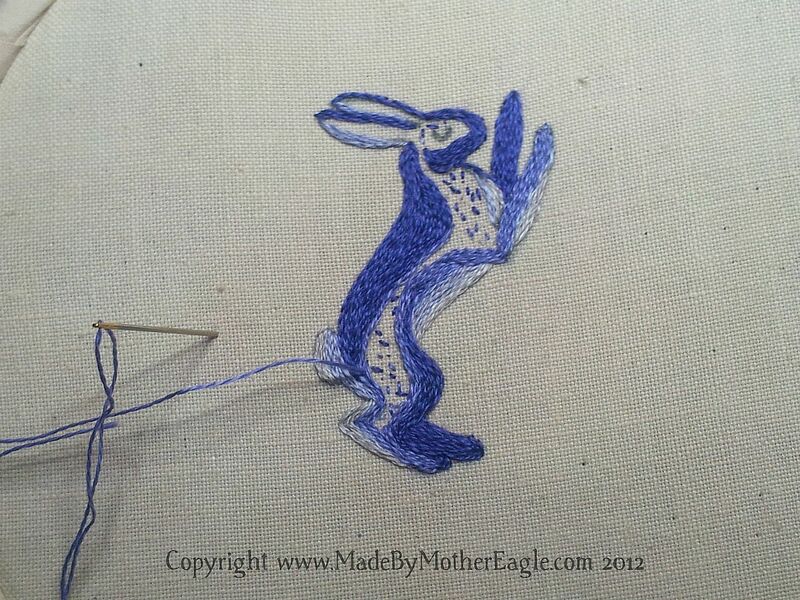 I’m going to have to keep an eye out for one of those next time I get to the needlework store.